Michael Stephens, M. D., discusses a recent article published in Gastroenterology about the effectiveness of early drug therapy in children with Crohn's disease. The research project is part of a larger project initiated by PROKIIDS. This research project looks at 1,800 children, 1,200 with Crohn's disease. All of the patients are being followed from the time they are diagnosed with Crohn's disease through the years moving forward. 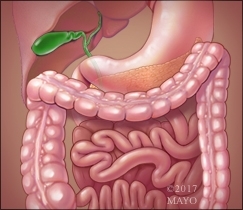 The goal of the study is to identify markers that might predict which patients will have a severe case of Crohn's disease. The current research study looks at outcomes and compares three different types of treatments. The first group receives anti-TNF therapy. The second group received immune modulating therapy. The third group received no treatment within the first three months. This study was an observational study and the choice of treatment was at the discretion of the physician. In order to correct for this factor, a statistical technique was used. Patients with similar characteristics were paired within the three groups . The results showed that patients who received the anti-TNF therapy had an improved outcome, such as a higher remission rate and some indications of improved growth, at one year. All three groups had improvements in weight and body mass index but only the anti-TNF group had improvements in linear growth. This is an exciting study that compares treatments in parallel. Researchers hope they will be able to gain more information from this study and be able to stratify patients in terms of who needs an anti-TNF therapy versus the alternative therapies. Read the whole study online here. Dr. Stephens is a pediatric gastroenterologist at Mayo Clinic.